We currently have a vacancy for a Solicitor/Legal Executive to cover full time maternity leave from the end of October 2015 (for a year). 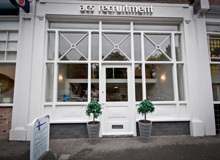 There may be the potential for the successful candidate to join our busy team on a permanent basis. • At least 1 year PQE managing a caseload of RTA files. • Experience handling a caseload consisting of both pre-litigated and post-litigated RTA Fast Track files with a proven track record in litigation. • Ability to work to tight deadlines, manage their time effectively and work as part of a busy team. • Strong communication skills and the ability to work both alone and as part of a team. • A target driven approach with an eye for business and commercial awareness whilst maintaining exceptional client care. • Proclaim experience preferred but not essential. The salary is £25k dependent upon experience and the hours are Monday to Friday 9.00am to 5.30pm with an hour each day for lunch.